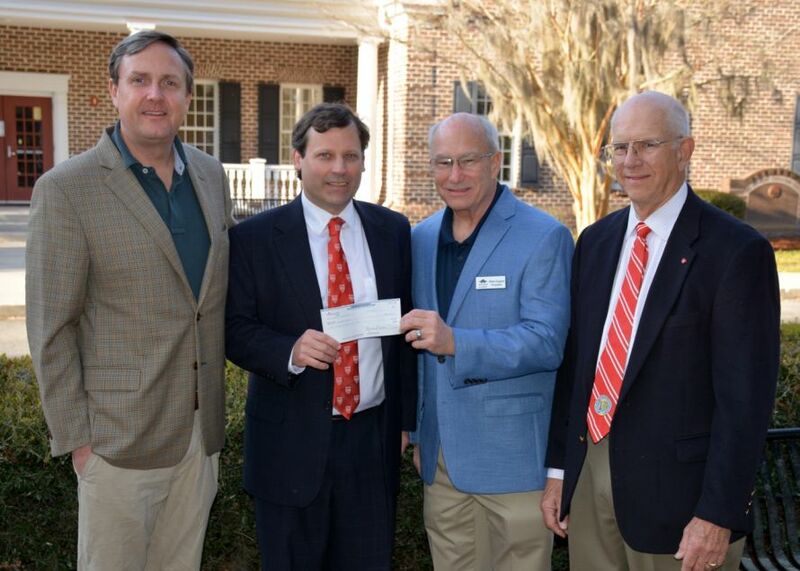 SAVANNAH, Ga. - March 14, 2019 - PRLog -- The Society of Colonial Wars in the State of Georgia presented a $3,000 donation to Bethesda Academy. Representatives of the organization, Allen Williams, Governor General, and Robert Groves, Deputy Governor General, presented the check to representatives of Bethesda Academy, Dr. Michael Hughes, President, and John Reddan, Director of Institutional Advancement. The Society of Colonial Wars in the State of Georgia has a long history of supporting Bethesda Academy. Back in the early 1900s, the organization donated all of the pews that are located in the George Whitefield Memorial Chapel, a gift that was made in honor of all of the founders of Georgia. "Bethesda Academy is so grateful to the Society of Colonial Wars for literally over a century's worth of support," said Hughes. "This support directly benefits the scholarship program. We are an independent school now, and all of our boys and families pay tuition. This donation will give a student a chance to have a Bethesda education." The Society of Colonial Wars was founded in New York in 1892 for the purpose of furthering the interest in, and study of, America's Colonial history for the period between the settlement of Jamestown, Virginia on May 13, 1607 and the battle of Lexington on April 19, 1775. Founded in 1740, Bethesda Academy is the oldest child-care institution in the United States. Now it is a private boarding and day school for young men in grades six through twelve and is accredited by the Southern Association of Colleges and Schools. The 650-acre campus features a variety of athletic teams, a wildlife management and organic farming program and college preparatory curriculum. Through its "Lead The Way" initiative, students have access to exclusive integrated learning and leadership opportunities. For more information, visit http://www.bethesdaacademy.org or call 912.644.4376.